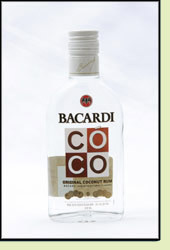 Andy: Bacardi Coco has a good coconut smell and taste. I would say it isn’t as good as Beachcomber coconut, but WAY better than Ron Vicaro Coconut and even a little better than the Cruzan. A nice choice if you can’t find the Beachcomber. Adrian: Really good with the pineapple juice. This is a nice option if you are out by the pool and you want something tropical. You’re almost always able to find this at the store.